Finding out she was diabetic was a shock for Helen. “It’s not the diabetes – my mum was diagnosed in her early 40s too and I know it is an illness that needs to be managed carefully. I was quite prepared for insulin injections and watching my diet but having to take pills has caused me so much anxiety,” she says. Helen has Type 2 diabetes, which is also called late onset diabetes. It arises in middle age and is caused when the cells of the pancreas that produce insulin start to fail. “I was having regular checkups for blood pressure as I take the contraceptive pill – which I hate doing as I hate swallowing pills – and the doctor suggested I have a sort of health MOT to check my blood cholesterol etc,” she explains. One of the tests checked her blood sugar and the results indicated she may be mildly diabetic. After several more tests, Helen was put in the care of a consultant at the local hospital who told her that the diabetes was not yet severe enough for her to need to take insulin. “I was told that I would be able to control my diabetes by sticking to a carefully planned diet and by taking medication that would help me take sugar from my blood into my tissues more easily. I was prescribed metformin,” recalls Helen. When she unpacked the prescription she had picked up Helen looked at the contents of the blister pack packets in despair. Each tablet contained 800 mg of metformin and she had to take two each day, possibly more as time went on. “Each tablet was huge – twice as big as a paracetemol and about 100 times as big as a contraceptive pill. I knew I would not be able to swallow even one of them. It was also obvious from the patient leaflet that I was not allowed to crush them. Metformin is released slowly as the tablet is digested - having the dose all at once could have been dangerous,” she adds. Dysphagia means that you have difficulty swallowing. Physiological dysphagia can occur as a result of a stroke or a problem with the throat or oesophagus. It is usually more common in older people. Psychological dysphagia is caused by anxiety and is quite common in people of all ages. 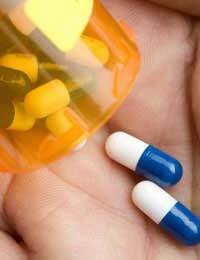 Many of us hate swallowing pills, even though we have no problem eating food. “I don’t know why I have such a problem but I know that even when I try to take my contraceptive pill, my throat just seems to clench together and it takes about a pint of water to get it down. Funnily enough, I don’t have anywhere near the same problem when I have had half a bottle of wine!” says Helen. Helen’s GP had a solution to her dysphagia – quite literally. “She knew of a pharmaceutical company that specialised in producing liquid medications – drugs formulated in solution that you can take as syrup. That sounded brilliant.” Another prescription was produced by the surgery and Helen had to wait a few days for the pharmacy to order in the liquid medicine form of metformin. “I had expected there to be some sort of payback and for the syrup to taste absolutely foul – but I was surprised that it was quite a pleasant almond flavour and I have had no problems taking a regular dose even since. I would recommend liquid medicine formulations to anyone. They aren’t available in all drugs, but it is worth checking out”, says Helen.